91-99 exp curve adjustment with awakening patch. Well I suppose I should comment. Been playing for 4 years. 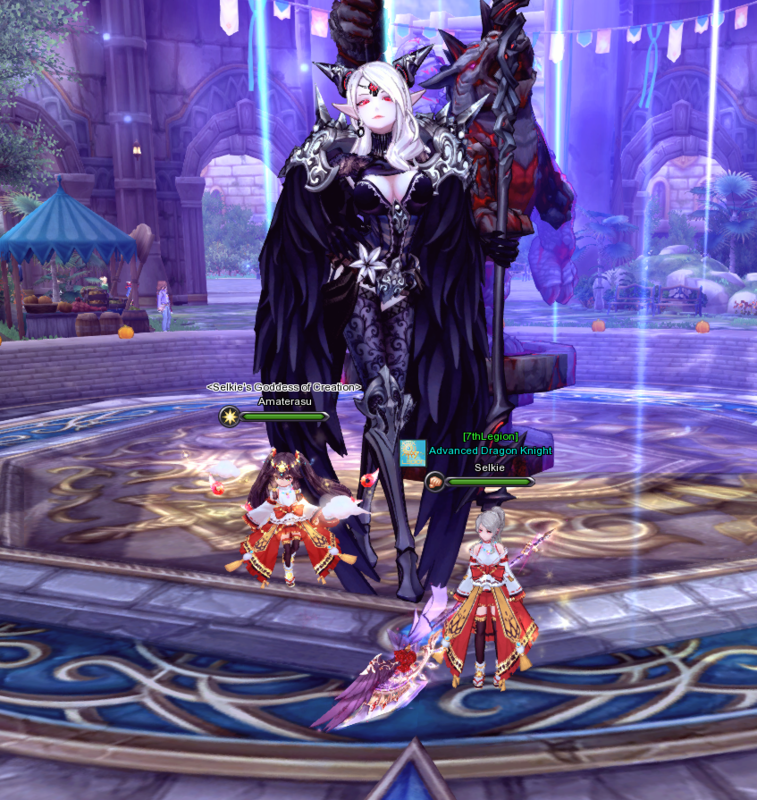 I am having more fun with Aura kingdom then I did with WoW as it is right now. ... Guess its a click on link to view. hmm I think I should've posted this in guild discussion. Wonder if it can be moved there. yeah it is called 7thLegion. I do want to help carry them as well... However that also means I need to +20 everything. Hello Some of you may know me on AKUS as Indard. And the characters I have played. Recently some of my guildmates on star wars the old republic showed interest in this game and they have been slowly flocking to it. I set up a guild for them on phoenix since that is where I play Along with a youtube channel. (https://www.youtube.com/channel/UCwep291i1ifHZf6N4i-Ln2A) That is where I will upload content. Not sure how to get OBS to record... I suppose I could do that and edit out the display capture start and finish. We also have a discord. Guild members only. It makes me very happy to help people get into this game. I will be doing what I can to assist them. had to do 7thLegion to get the name. There is ALWAYS that ONE person that doesn't like it. Ah well. Can't please everyone. Sure it is easier to level but eventually you hit a wall where you need better gear. I am uploading this it will take about 20 minutes as of posting. This game allows you to if you are ranged class shoot/cast on the move so KITE AND KITE AND KITE AND KITE. Kiting is a term primarily encountered in MMORPGs referring to a popular method of killing mobs (monsters) or other players by staying at a distance, using ranged attacks, and running whenever the enemy comes near. Similar tactics may be used in other computer and video games." Running low level dungeons works as well. For the level 80 green weapon Shuriken wants storm. Tachi wants storm. Lancer was dark. Duelist most run ice but there is an upcoming buff to duelists that buffs holy (which is what I am running) a more risky investment is going for the level 70 gaia emblems the dmg against element tops off at +15% against that element. so something like 15% DMG against dark would be nice. Also DMG +8% emblems are good as well. (that buffs all of the Extra % against X ) However those emblems are 7g a pop.... and you usually get something rubbish. I get alot of level 60 crafting materials those go for a bit. A sky tower clear with good gear takes roughly an hour. I wish you luck in getting gold to do stuff. Sometimes you can get a frenzied blades - zeal - frenzy proc at once and the boss just drops. Frenzied blades is a double attack lasts around 4-5 seconds. So basically more inventory space. Free level 50,60,70 pvp set and accessories. (new character) new eidolon. More GDP grindnig. The 500 valor coins are bound to character you can't put them in the Shared warehouse. anything new content wise? Probably not. Back to grinding we go. Nice working with ya. Good luck in your future endeavors! It is bittersweet. Can I recommend a game? I got this as well.